I was asking you: where are we when we draw? The question seems to be expecting a spatial answer, but mightn’t it be a temporal one? 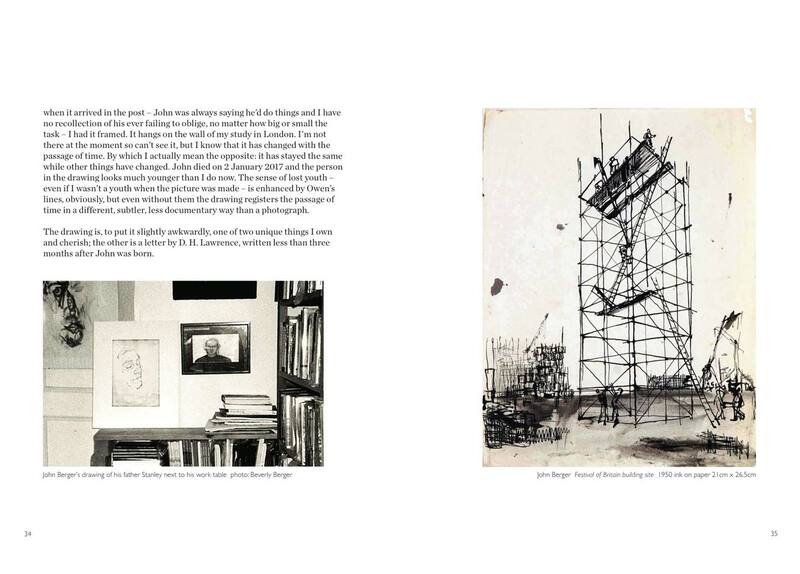 Isn’t the act of drawing, as well as the drawing itself, about becoming rather than being? Isn’t a drawing the polar opposite of a photo? The latter stops time, arrests it; whereas a drawing flows with it. 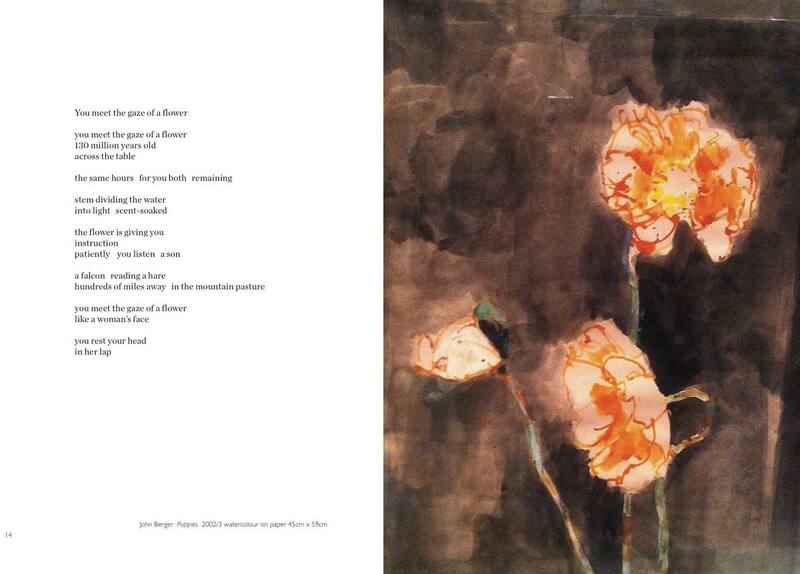 Could we think of drawings as eddies on the surface of the stream of time? 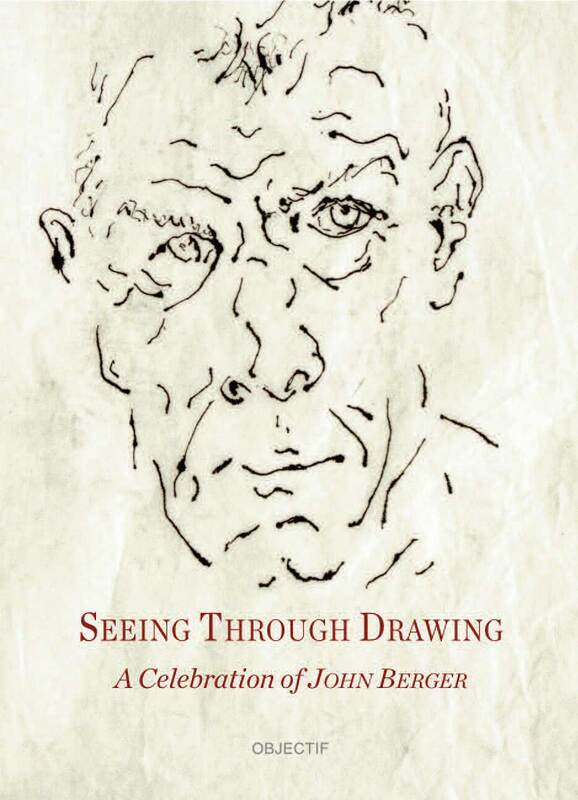 Seeing Through Drawing is a celebration of the writer, critic and artist John Berger and his passionate love of drawing. 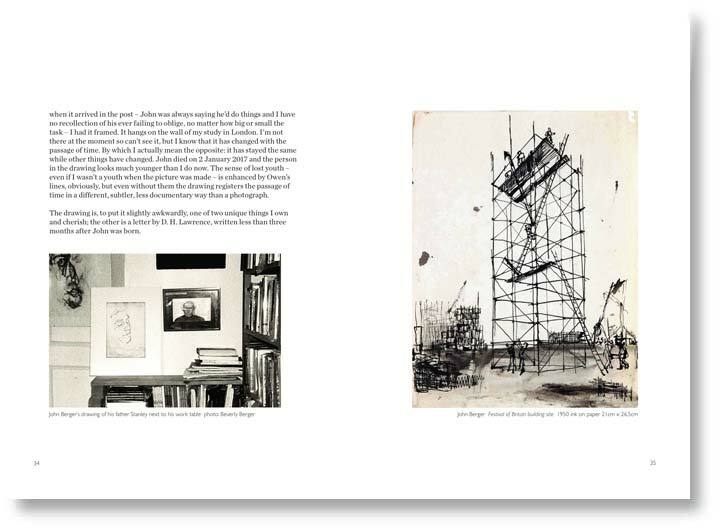 This 144-page paperback book, edited by John Christie, brings together a selection of John Berger’s own rarely-seen drawings from his art school days in the 1940s up until a year or so before his death in January 2017. 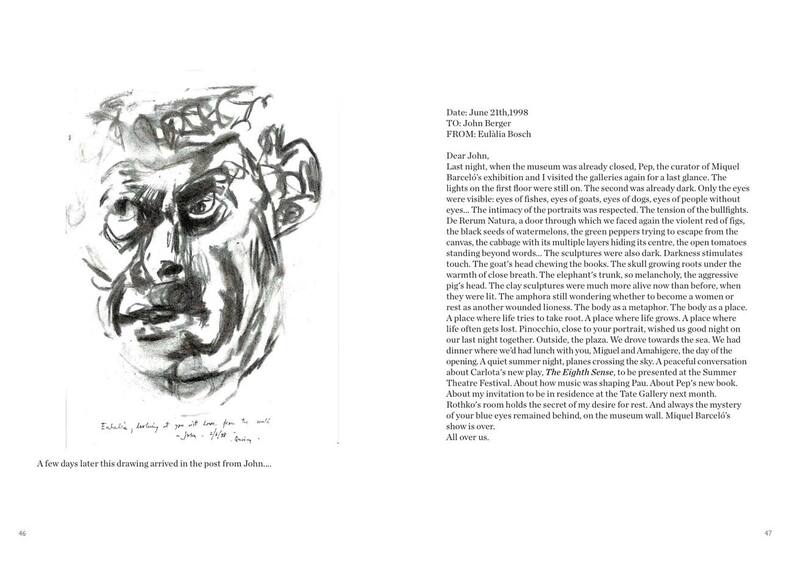 The book also contains two previously unpublished SMS text sequences on art and communications between John Berger and his daughter, the writer and film critic, Katya Berger Andreadakis plus a moving account by his son Yves Berger of drawing his father in his coffin, which echoes John Berger’s own essay ‘Drawn to That Moment’ about making a drawing of his dead father in 1976. 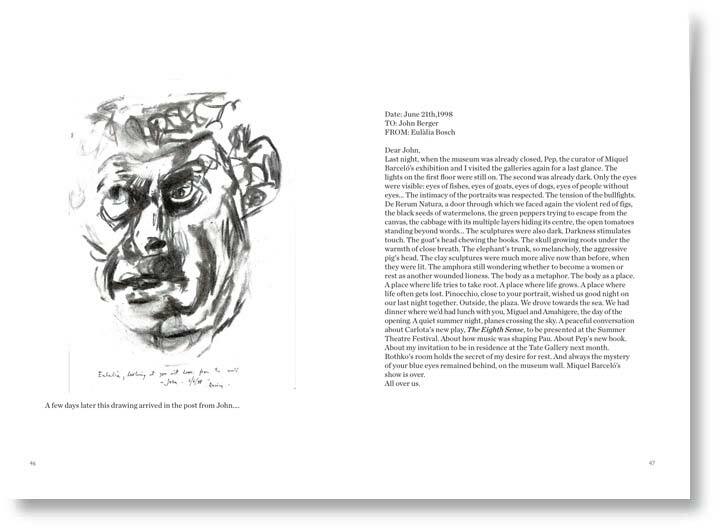 The book features a compilation of writings on the art and practice of drawing collected together by John Christie from across John Berger’s art criticism, fiction, essays and letters. 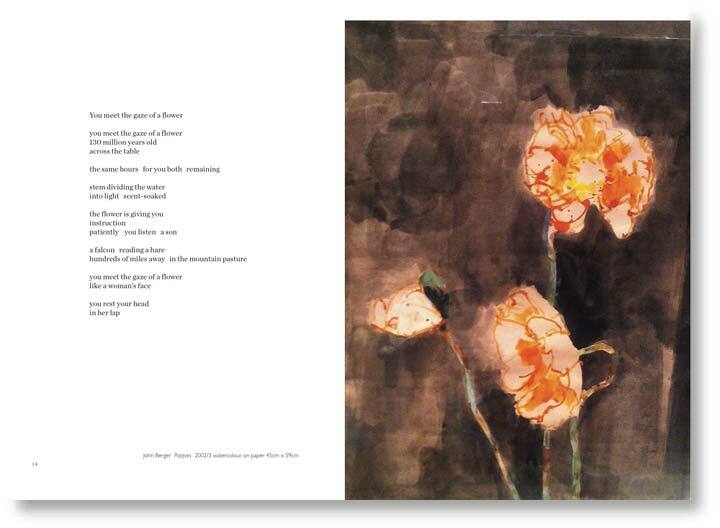 The second part of the book is dedicated to the work, statements and memories of the artists who took part in the celebratory drawing exhibition ‘Seeing Through Drawing’ curated by Martin Battye and John Christie at Mandell’s Gallery, Norwich in July and August 2017.